Orientation tour in St. George and 4-wheel-drive tour in Monument Valley. Inside visits as shown in UPPERCASE in the tour description, including admission charges where applicable. Grand Canyon National Park, Painted Desert, Monument Valley, Lake Powell, Glen Canyon Dam, Bryce Canyon National Park, and Zion National Park. Explore the captivating canyonlands on this unforgettable vacation! 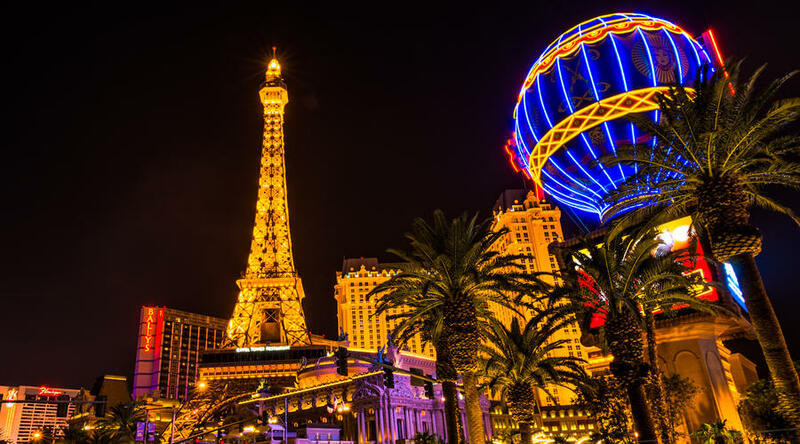 Your trip begins among the neon lights of Las Vegas before heading east to experience the Grand Canyon, where you’ll overnight in the park and have time to wander along the canyon rim. While at the Grand Canyon, enjoy a spectacular sunrise or sunset. From the Grand Canyon, continue into Navajo country and Monument Valley for time to dip in the pool and admire the beauty around you. Have your camera ready for some spectacular shots during your 4-wheel-drive tour of mystical Monument Valley. Then head west for Page and Lake Powell. After Page, a day of contrasts leads you to Bryce Canyon National Park, where years of erosion have carved colorful sandstone into thousands of spires, arches, and mazes. 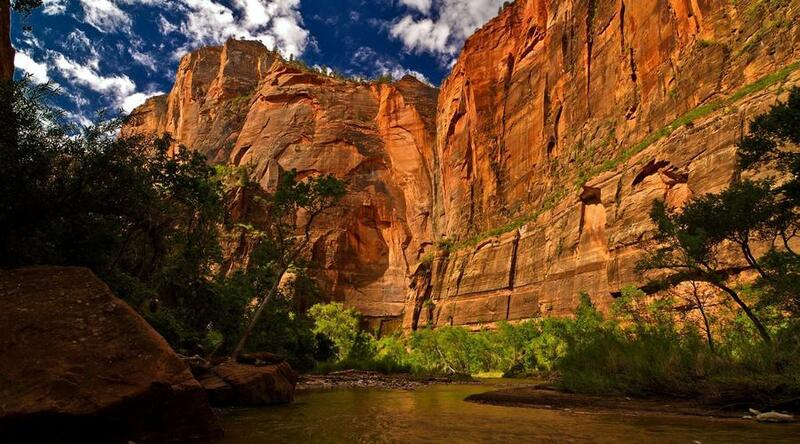 Finally, head to Zion National Park and enjoy the beauty and peace offered at this park—with its massive canyon walls ascending toward the blue sky. You’ll have time in Zion National Park to explore, hike, bird watch, or join a park ranger to learn more about the animals, geology, plants, and human history within the park. Return to the excitement of Las Vegas and visit the shops and casinos—a perfect way to end your canyonlands vacation! Welcome to exciting Las Vegas, also known as “Sin City!” Enjoy time at leisure to relax or to do some independent exploring. Your Tour Director is on hand this evening to answer any questions. LAS VEGAS Harrah’s Las Vegas (F). Cross the desert and the old Mojave gold-strike country, passing through Williams on historic Route 66, and Kaibab National Forest, to arrive in the Grand Canyon by mid-afternoon. Marvel at one of the Natural Wonders of the World as you experience breathtaking views of the Grand Canyon. There’s plenty of free time to wander along the canyon rim. Overnight in Grand Canyon National Park. GRAND CANYON NATIONAL PARK Grand Canyon National Park Lodges (NP). If you miss the sunset over the canyon, sunrise is just as impressive! There is time for an optional helicopter flightseeing tour of the Grand Canyon—definitely the thrill of a lifetime. Later, take a scenic drive across the Kaibab Plateau and through the amazing Painted Desert. Continue into MONUMENT VALLEY, where the weathering action of wind and water has carved the famous sandstone spires and towers that rise hundreds of feet above the valley floor. You’ll stay overnight at historic Goulding’s Lodge with its panoramic views of the valley. Take a dip in the pool and admire the western sky, or explore the Goulding’s Museum & Trading Post, part of the set built for John Wayne’s film, She Wore a Yellow Ribbon. 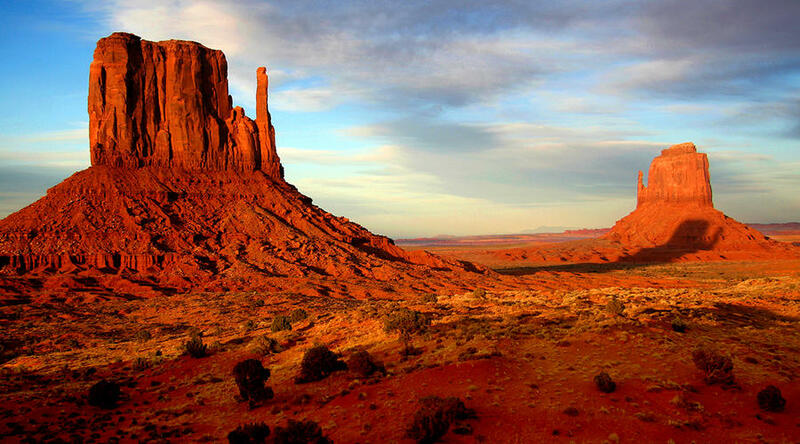 Monument Valley has been featured in scores of movies, from John Ford’s Stagecoach to Forrest Gump. Take a walk back in time with this wonderful collection of movie memorabilia and Indian artifacts. GRAND CANYON NATIONAL PARK Grand Canyon National Park Lodges (NP). The following departures will overnight at Kayenta Monument Valley Inn: 26 May, 9 June, 21 July, 4 August, 8, 15, 22 September, and 6 October. Day 4 Monument Valley–Lake Powell–Page. This morning, your 4-WHEEL-DRIVE tour is a memorable way to experience Monument Valley. Then, head to Page and visit the Glen Canyon Dam, holding back the waters of the Colorado River in Lake Powell, the country’s second-largest man-made lake. 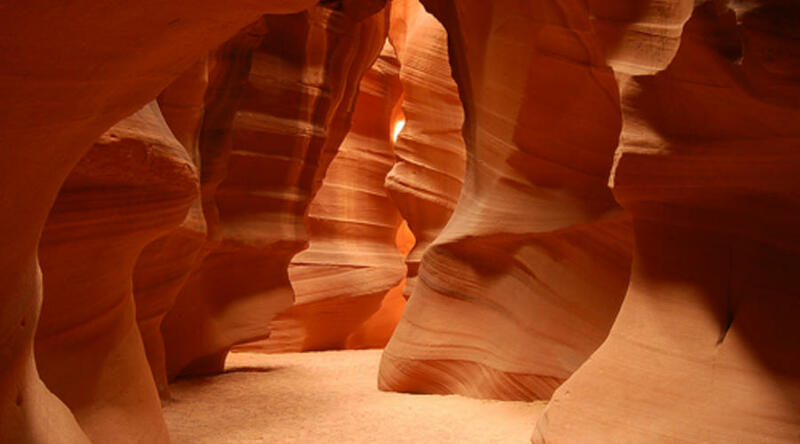 This afternoon, consider an optional Antelope Canyon cruise, which takes you onto the lake and into the tight, winding canyons. MONUMENT VALLEY Goulding’s Lodge (T) or Kayenta Monument Valley Inn (T). Day 5 Page–Bryce Canyon National Park. Our optional early morning flight provides another unique perspective of Lake Powell. 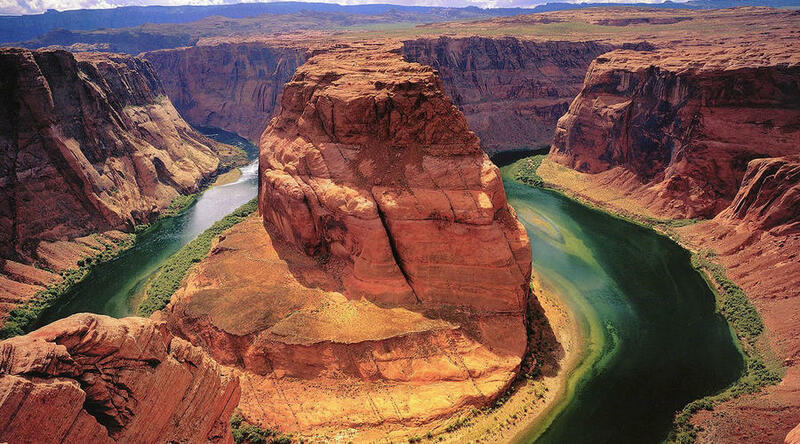 This beautiful sightseeing flight also includes Glen Canyon Dam, Wahweap Marina, Tower Butte, and Rainbow Bridge, the largest natural arch on Earth. Then, travel into Utah along the Grand Staircase to Bryce Canyon National Park. Bryce is famous for its unique geology; erosion has created bizarre shapes, including slot canyons, windows, fins, and spires called “hoodoos.” Tinted with numerous colors, these rocks create a wondrous landscape. Make sure to have your camera on hand today! (CB) PAGE Quality Inn Page (ST). Day 6 Bryce Canyon National Park–Zion National Park. “Zion” is an ancient Hebrew word meaning a place of refuge or sanctuary. Once a refuge for Mormon pioneers, Zion National Park’s striking landscapes of steep canyons and stone towers carved out by rushing streams over millions of years will mesmerize you. There is plenty of time to explore the park: take the park shuttle, see the Visitor’s Center and the museum, take a leisurely hike, bird watch, or join a park ranger to learn more about the animals, geology, plants, and human history. You’ll stay overnight close to Zion National Park’s borders. BRYCE CANYON NATIONAL PARK Best Western Plus Ruby’s Inn (ST). Day 7 Zion National Park–Las Vegas. This morning begins with an orientation tour of St. George, the most important Mormon community in southern Utah. We continue to Las Vegas with a mid-afternoon arrival. ZION NATIONAL PARK Best Western Zion Park Inn (F). The trip ends today with guests departing on individual schedules. 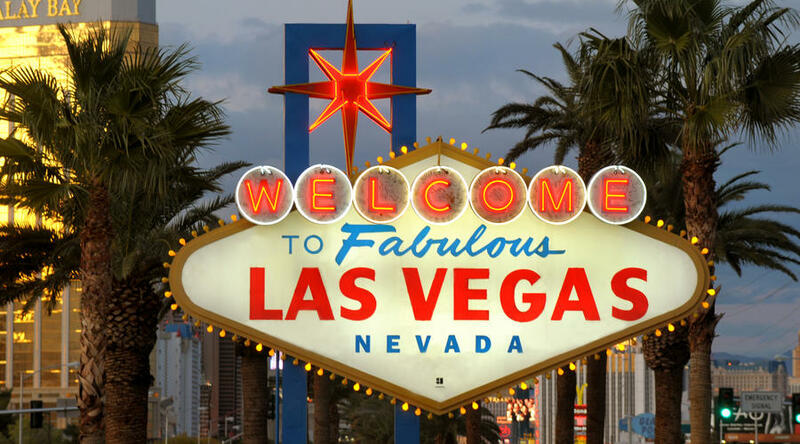 Transfers to Las Vegas McCarran International Airport are included. You can extend your vacation with extra nights and explore “Sin City” further with a variety of exciting optional activities. ZION NATIONAL PARK Best Western Zion Park Inn (F). Single Room Supplement: $445 Triple Room Reduction per person: $65 Las Vegas Arrival Transfer Las Vegas, NV - McCarran International Airport: $8.00 per person Based on the same arrival & departure date. prices may vary in case of extra nights. please call for the exact pricinig. Orientation tour in St. George and 4-wheel-drive tour in Monument Valley. Inside visits as shown in UPPERCASE in the tour description, including admission charges where applicable., Grand Canyon National Park, Painted Desert, Monument Valley, Lake Powell, Glen Canyon Dam, Bryce Canyon National Park, and Zion National Park., Local Guide for sightseeing in Monument Valley; services of a professional Tour Director.